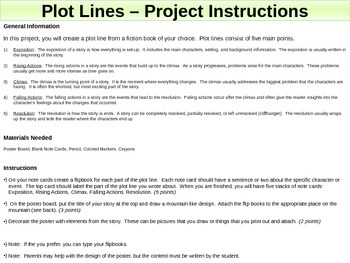 If you want to teach story structure for the common core, using a plot line is one of the best ways. This project is intended for grades 2-5, but it could be modified for other grades as well. 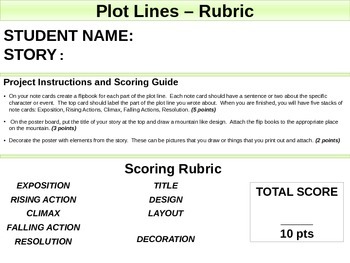 It includes graphic organizers for each section of the plot line, a teaching rubric, student scoring guide, and everything else you'll need to create amazing plot lines to display in your classroom. It was originally intended as a poster project, but the sheets can be used to teach in numerous formats. The file is in power point, which means its ready for use on all Smartboards and projectors. I've also included a template for students who want to type out their project. You can share it with your class via email, google, or your website. 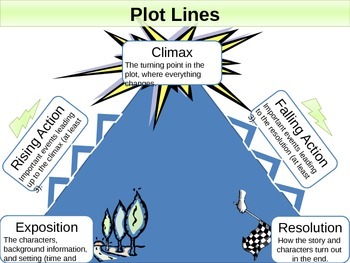 The plot line covers all the major elements in a story: exposition, rising actions, climax, falling actions, and the resolution. 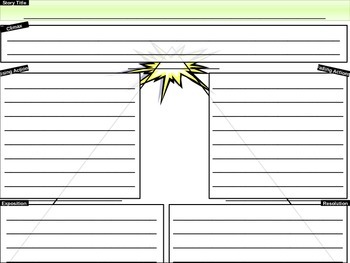 Each element has a corresponding graphic organizer to help scaffold the activity for children.